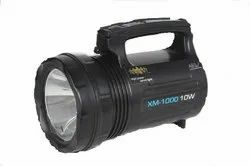 Our clients can avail from us a range of search lights in different sizes and technical specifications. 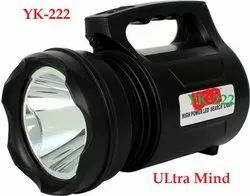 Designed using latest technology, these lights are appreciated for higher illumination and low power consumption. 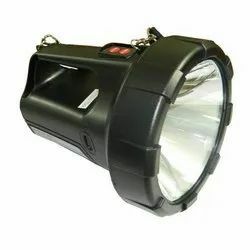 Known for their excellent user specific features, these lights ensure complete safety and vigilance. It is our commitment towards innovation that has enabled us to provide a flawless range to our clients. 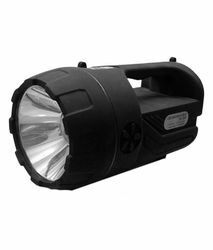 Product Description : LED Search Light offered provides for optimum lighting performance support and feature in-built battery charger that supports the demands of scanning dark areas during search operations. 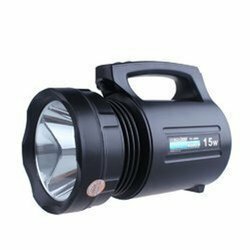 Product Description :- Our organization is instrumental in offering superior quality Industrial Search Light at competitive market price. The security systems we offer are highly appreciated by our clients for their reliability and operation oriented features.In our security system we offer emergency lighting effect, fully keypad operation, high quality LCD display and special dimming effect for indoor use. These are extensively demanded in police services, defence, mining and railway accident areas. black color 3mm thick ABS/glass filled nylon body. 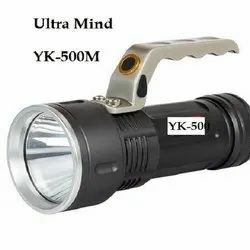 Product Description :Our organization is instrumental in offering superior quality Industrial Search Light at competitive market price. The security systems we offer are highly appreciated by our clients for their reliability and operation oriented features.In our security system we offer emergency lighting effect, fully keypad operation, high quality LCD display and special dimming effect for indoor use. 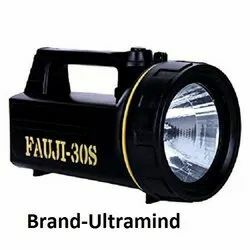 These are extensively demanded in police services, defence, mining and railway accident areas. Input AC charging :AC 220 V 50 Hz. Charge for approx 8 to 10 hrs before use. · Input AC Charging: AC 220 V 50 Hz . Cree Led Chip can produce brightness up to - 1000 Lumens. 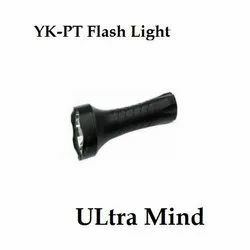 · You can switch from focused to defocus light output mode just by rotating light head. 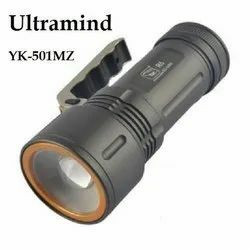 · LED: Cree Premium LED, Range- approx. 500 mtr. 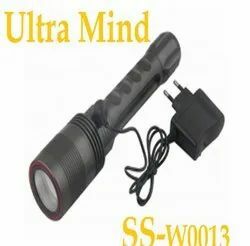 · Weight: 379.5g/PC Dimension: length*head dia. *tail dia. · Charging: AC Mains 220V: 50HZ, External Charger avail. · Operation Time: 10 hours Approx.